Wholesale jewelry boxes in stock and ready to ship! 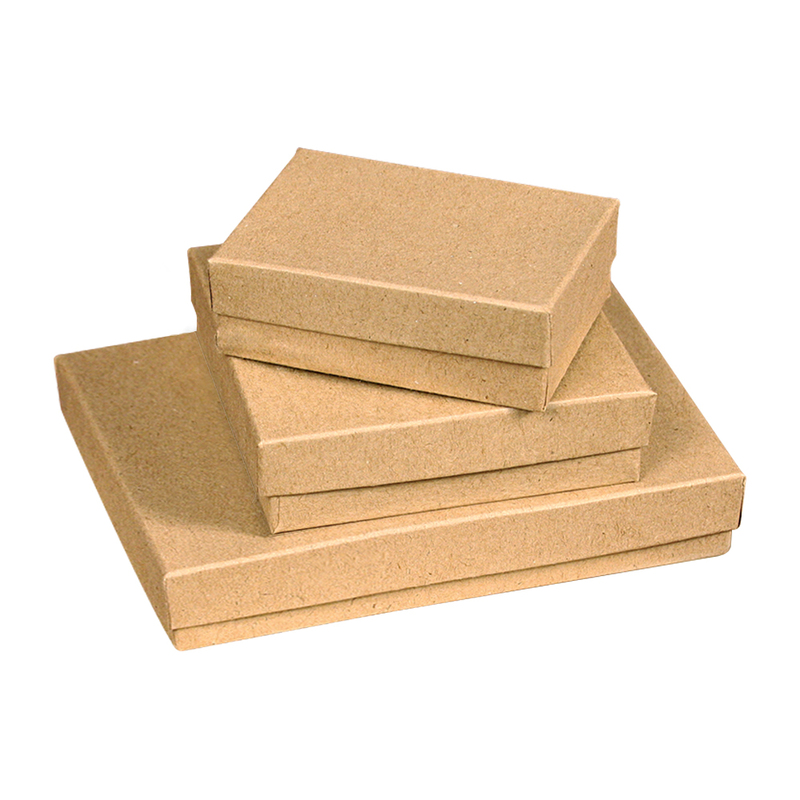 These cotton filled jewelry boxes are made of kraft paper material. Perfect size for earrings or rings. It`s easy to customize these wholesale jewelry boxes! Add a sticker with your logo and store info on it. See custom labels. For further offerings, we ask you to take the occasion to look at our comprehensive collection of wholesale jewelry boxes at Specialty Store Services today.